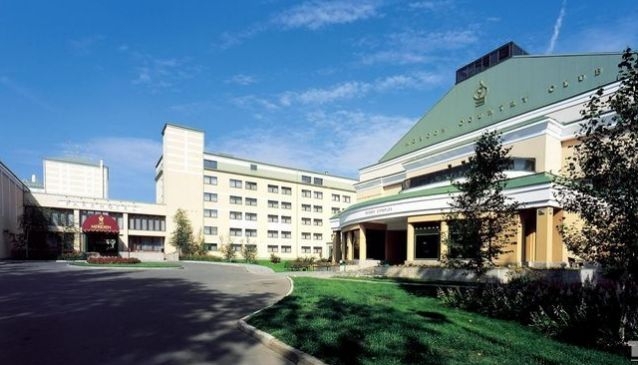 Moscow Country Club is the European class hotel and international golf resort located not far from Moscow. The location of the resort is 30 kilometres away from the Moscow center and 15 kilometres from the Moscow Ring Road in the ecologically clean region of Moscow suburbs. The idea of building a championship golf course in Russia dates back to the early 1970's, when Dr. Armand Hammer , an American executive with a voracious entrepreneurial spirit, was invited to Russia by government leaders. The purpose of this visit - what did Russia need to entice Western business? The legendary answer...limousines and a golf course! Now that statement seems obsolete, since foreign business came to Russia because of economic opportunity. One thing remains true however, the sport of the Western businessman is golf and it is becoming the sport of the business community world wide.